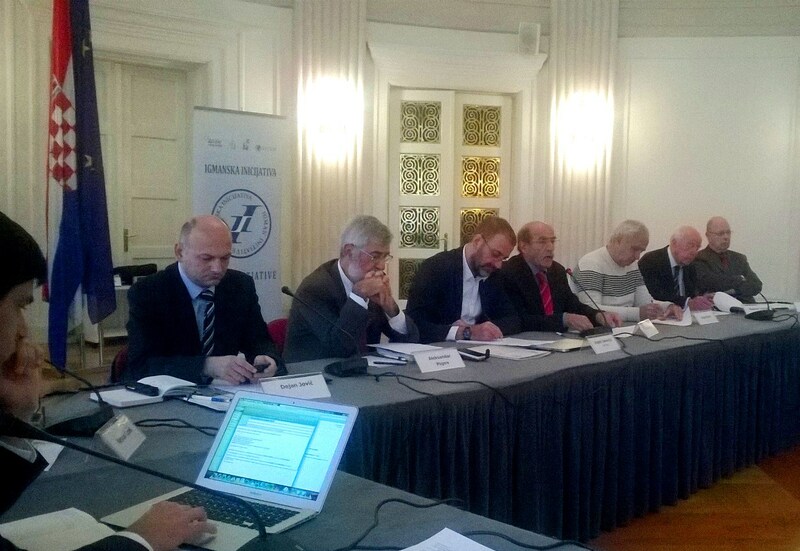 On October 29th the Igman Initiative organized the conference Dayton Agreement and the Countries of the Western Balkans – What is Next? as part of the project Twenty Years since the Dayton Agreement financed by the European Fund for the Balkans and the Balkan Trust for Democracy. The conference was attended by government officials, representatives of the international community, academia and CSO representatives. At the beginning of the conference, Zoran Pusic, Igman Initiative Co-president for Croatia, stated that the Dayton Agreement should have secured territorial integrity and functionality of Bosnia. However, Bosnia is a political zombie characterized by corruption, ethnic intolerance and political stalemate. The neighboring countries are guarantors of the territorial integrity of Bosnia, but only owning to the pressure exerted by the international community. This conference is one step towards identifying a set of activities the CSOs could undertake in the near future. Nordic model of cooperation could be applied to this region as it has showed remarkable results among the Nordic countries which shared common history similar to ours. Vehid Sehic, Igman Initiative Co-president for B&H, stated that the Dayton Agreement brought peace and created preconditions for Bosnia to function as a country. However, if one looks at the constitutional and legal framework it becomes clear that Bosnia is an uncompleted country. One of the major shortcomings of the Dayton Agreement is that there is no time limit to it, therefore there is no political responsibility for implementing all of its provisions. Furthermore, there are no ideological political parties in Bosnia, as they all turned into interest groups. Budimir Loncar, former Minister of Foreign affairs of SFR Yugoslavia, stated that Bosnia was always the epicenter of the happenings in the region. Peace was the main objective of the Dayton Agreement, and it was achieved thus providing the warlords, i.e. its signatories, with a certain degree of the legitimacy. As a result you have peace and sovereignty on one side and cultural, territorial and ethnic divisions on the other. Three factors should be considered regarding making amendments to the Dayton Agreement: state of affairs in Bosnia; state of affairs in the region; and state of affairs in the EU and worldwide. The EU should recognize the stability in Bosnia and region at large as one of the priority issues. Tomislav Jakic, former journalist and analyst on foreign policy, highlighted that the Dayton Agreement imposed a framework under which Bosnia cannot become a functional state. Bosnia is a place where the interests of several great powers intersect (USA, EU, Turkey, Russia, etc). For centuries Bosnia has been a sovereign state with rich culture and diverse ethnic groups. Ethnic and cultural divisions became evident only after the signing of the Dayton Agreement. The results of the war become legit through the division of Bosnia into entities. Political elite in Bosnia cannot agree on common issues, which is contrary to the beliefs of the international community. Dejan Jovic, one of the most influential political analysts in Croatia, indicated that at the starting point of the Dayton Agreement lies the assumption that it is too risky to leave the issues of politics in the hands of common people. In the modern world sovereignty is not complementary to peace and stability (e.g. through entry into the NATO or EU countries forgo sovereignty for the sake of peace and stability). That was the purpose of the Dayton Agreement: to install the mechanism of control. A vast number of countries in Central and South East Europe do not have control over their borders nor the power to enforce national legislation, unlike Hungary which is focusing more on sovereignty. 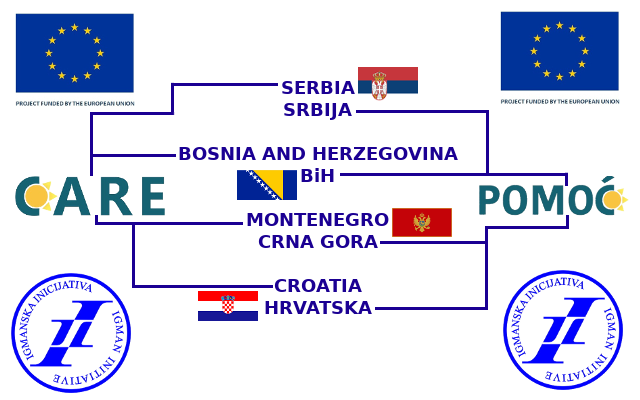 There are three scenarios for solving the issues of Bosnia: USA hegemony over Bosnia; the system of collective security through EU membership; the Western Balkans remains the periphery of the EU, where the magnet of the EU weakens while the magnet of Russia and Turkey strengthens. Nerzuk Curak, the Igman Initiative expert highlighted that the public in Croatia is not interested in the state of affairs in Bosnia. 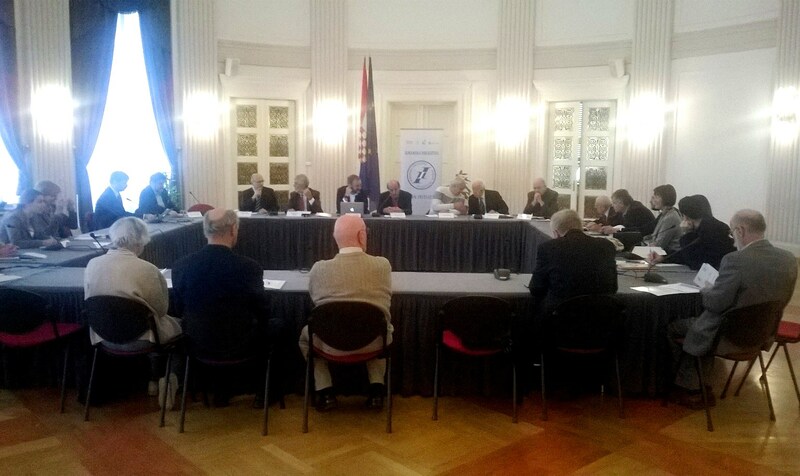 Serbia and Croatia are not guarantors of the Dayton Agreement but merely the witnesses of Bosnia’s existence as such. The overall rhetoric in Bosnia is against changes. The political elite in Bosnia is doing everything possible to stay in power. They are not the representatives of common interest. The idea that changes could be made and that the governance can be created horizontally should be advocated to the public. On the premises of the Dayton Agreement we should develop mechanisms that will create preconditions for Bosnia to function as a state. That is not the responsibility of the international community. And we should not fall into false assumption that Bosnia is making progress on its path towards the EU at the time when Bosnia is facing the biggest challenges regarding the structure of the government. It is better for Bosnia to belong to the EU then to fall under the influence of Russia and Turkey. Aleksandar Popov, Igman Initiative Co-president for Serbia, pointed out that even 2 decades after the conclusion of the Dayton Agreement relations among the countries in the region are far from satisfying. Within that time frame we had missed the opportunity to resolve outstanding issues which remain hindrance to already fragile relations between these four countries. Igman Initiative experts identified the following important outstanding issues: borders, facing the past, succession, missing persons, trying of the war criminals and citizens’ status and property issues. To make things worse, nationalism in extreme forms is on the rise in all four countries. Although Croatia promised that it will not block Serbia’s entry into the EU, in the past several years there were indications that the issues such as borders, missing persons and trying of the war criminals could be hindrances on Serbia’s path towards the EU. The main issue regarding relations among the countries in the region is that aside from the efforts of the civic society, majority of the initiatives aimed at the advancement of regional cooperation come from the international community. Marko Kmezic, lecturer and senior researcher at the Centre for Southeast European Studies at the University of Graz, stated that as a young fellow he followed the activities of the Igman Initiative since its humbled beginnings. That trip to Sarajevo under the siege that lasted for three days (participants traveled from Belgrade, through Hungary and Croatia to get to Sarajevo) is equivalent to the path of the Western Balkan countries towards the EU. The goal is certain while the process is time-consuming. Even though we have seen certain steps towards restoring peace, the process of reconciliation in the region is not over yet. 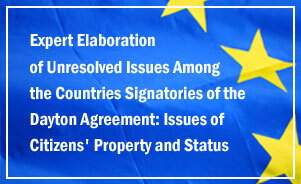 Within a research that has been carried out several bilateral issues were identified. Other issues related to the disintegration of the SFR Yugoslavia Mr. Popov mentioned: succession, refugees, status and property issues, missing persons, trying of war criminals, etc. Similar issues have appeared between the countries that aspired to become EU member states between 2004 and 2007. All these countries deemed that if they joined the EU simultaneously they would prevent bilateral reciprocated conditioning in later stages. When such issues are at stake the role of the international community as a mediator is crucial. Also the countries facing those issues should also have strong leadership. Another question is whether the EU wants to deal with those bilateral issues. 1. Bosnia should be an integrated and decentralized state. As such, it will act as the connective tissue of the Western Balkans. Otherwise, unstable Bosnia means constant potential threat to stability in the Western Balkans. 2. An important concrete step towards coherent and decentralized Bosnia would be a gradual transformation of current entities from primarily ethnic to primarily administrative units. This transformation should be incorporated into the rhetoric of politicians, adequate changes and improvements to the legal framework, and public debate and messages in media. 3. The holders of sovereignty in this country should be citizens. The concept of the civil state is not contrary to national equality. Ethnicity of each individual citizen is part of his identity, not his political orientation. In this respect, the necessary corrections should be made to the Bosnian Constitution. 4. It is necessary to keep the positive provisions of the Dayton Agreement, and to eliminate those which, in the past 20 years, have shown poor results, or those which, 20 years ago, were the result of efforts made to achieve a truce, and not a vision of how Bosnia would look 20 years in the future. Those provisions negate the very spirit of Dayton which is to, in addition to achieving the ceasefire, open perspectives for lasting peace and recovery of Bosnia. 5. The process of Bosnia’s integration into the EU should be supported. At the national level that should be a policy of Croatia, as the only neighboring country with the EU membership and which has the longest border with Bosnia. In doing so, the empirical facts should be taken into account (the cases of Bulgaria, Romania and Croatian) that the quality improvements of legislation, political practice and judiciary were mostly achieved during the integration process, as there are EU requirements which must be fulfilled, and that after the accession into the EU these improvements diminish or disappear. 6. Civic society should advocate for the inclusion of the US and EU, as the countries accountable for the cessation of war through the Dayton Agreement, into upgrading of the Agreement, in terms of the aforementioned conclusions. 7. Media outlets which are present in the region, for example N1, Al Jazeera, e-portals, should be contacted with suggestion of producing som kind of weekly political magazine on the topics that are of great importance for this region. 8. The Igman Initiative should bring together different groups which have similar views on the issues at hand (e.g. the authors of the Declaration on the Western Balkans) for more effective coordination of activities and synergy effects.